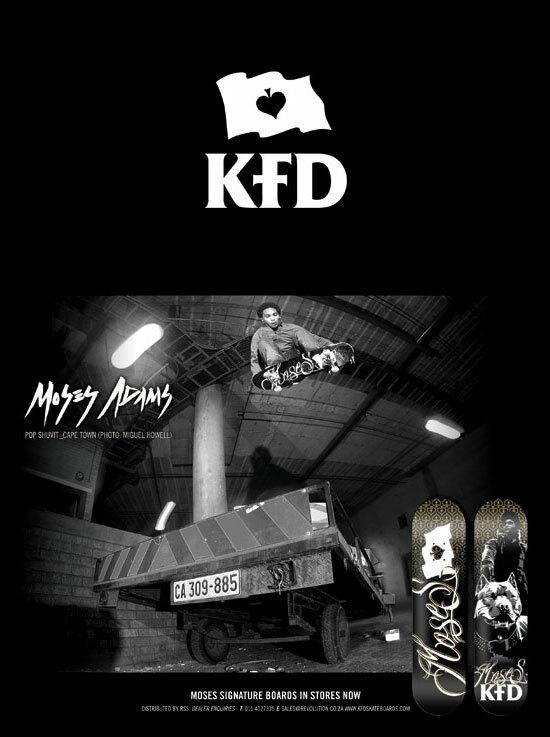 Moses Adams is KFD’s pro skater and I was asked to design his pro boards. Moses is a little different from the other guys on the team in that he is more into Hip Hop, where as most of the others on the team are more rock n roll type of guys. In his boards I worked to incorporate this element of his personality into the graphics while still staying true to the KFD brand identity. 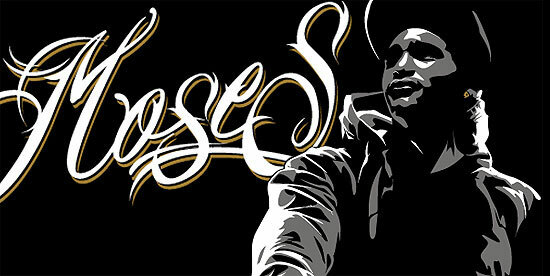 I chose to use gold, white, and gray as the spot colours, and created a font that I wrote his name in. 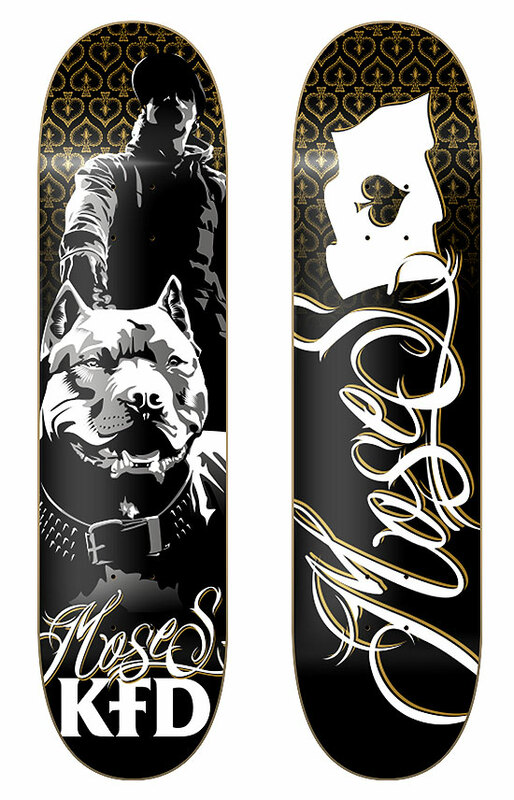 One of Moses’ personal requests was that his pitbull be included in one of the graphics, which was also fun to illustrate. We ended up going with two boards, one using his name in the font I created, and the other with the illustration I did of him and his dog.